Almost two-thirds of iron in the body is found in haemoglobin, the protein in red blood cells that carries oxygen to tissues. Smaller amounts of iron are found in myoglobin, a protein that helps supply oxygen to muscle, and in enzymes that assist biochemical reactions. Iron is also found in proteins that store iron for future needs and that transport iron in blood. Iron stores are regulated by intestinal iron absorption. The highest iron requirements are generally found in normally menstruating women. Young children, adult men and elderly women require less supplemental iron in their diets in order to help support and maintain good health. Proprietary mixture: ferrous fumarate with enzyme digested Saccharomyces cerevisiae (with soya); bulking agent: rice bran; vegetarian capsule: hydroxypropyl methylcellulose (carrageenan). Men and Children over 8 years: Take one capsule a day, or as your health professional advises. Women: Take 2-4 capsules a day, or as your health professional advises. Below are reviews of True Food Easy Iron - 90 x 5mg Vegicaps by bodykind customers. If you have tried this product we'd love to hear what you think so please leave a review. 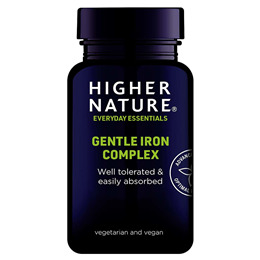 Question about True Food Easy Iron - 90 x 5mg Vegicaps Are the True Food supplements suitable for those with an intolerance to yeast? 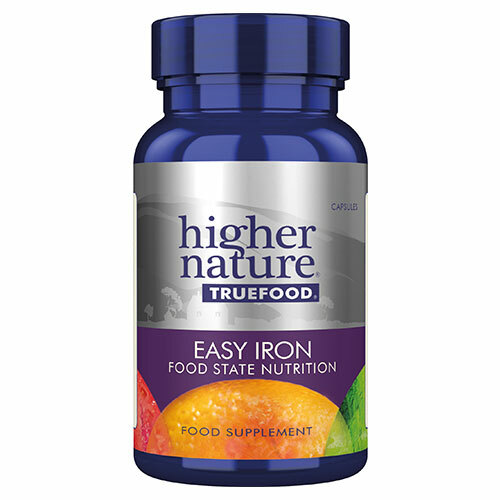 Question about True Food Easy Iron - 90 x 5mg Vegicaps Are the nutrients in the True Food range synthetic? Question about True Food Easy Iron - 90 x 5mg Vegicaps Is this OK to take during pregnancy as an alternative to prescribed "Pregaday" which is causing constipation? Yes, this product would be fine to take during pregnancy. As it is from a true food source it should be absorbed easier into the body and you may not experience the problems you are with your present supplement.